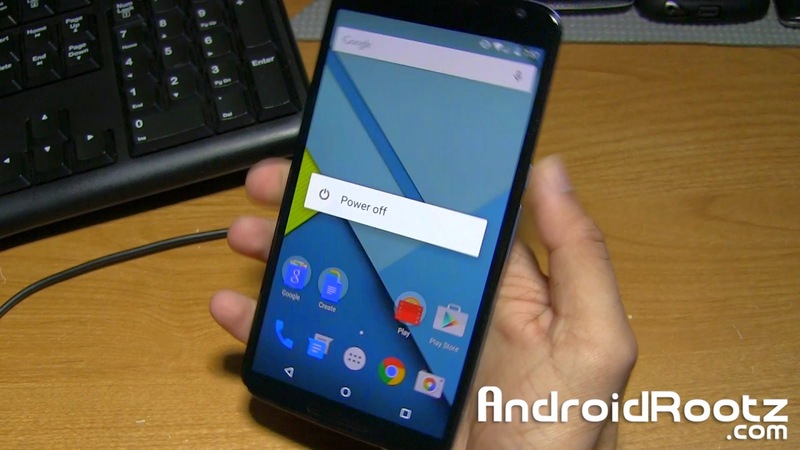 How to Enter Into Recovery Mode on Nexus 6! ~ AndroidRootz.com | Source for Android Rooting, ROMS, Tricks and More! 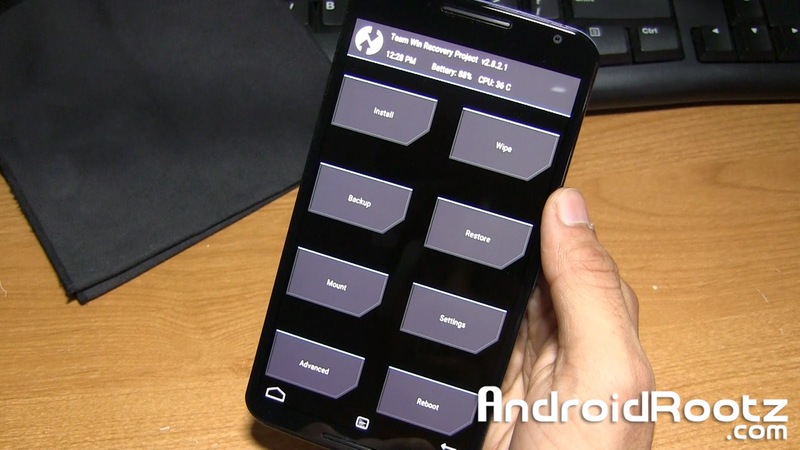 How to Enter Into Recovery Mode on Nexus 6! Entering into recovery mode can be a little bit of a challenge with the Nexus 6 since both the power button and volume keys are located on the same side of the phone. This requires us to use both hands to complete this task, but it can easily be done after a single try! Recovery mode is great since rooted Nexus 6 users can install custom ROMS, perform Nandroid Backups, wipe their device, and so much more! For people that are on stock recovery they still have a few options like a factory reset, installing flashable zips, and a few others. 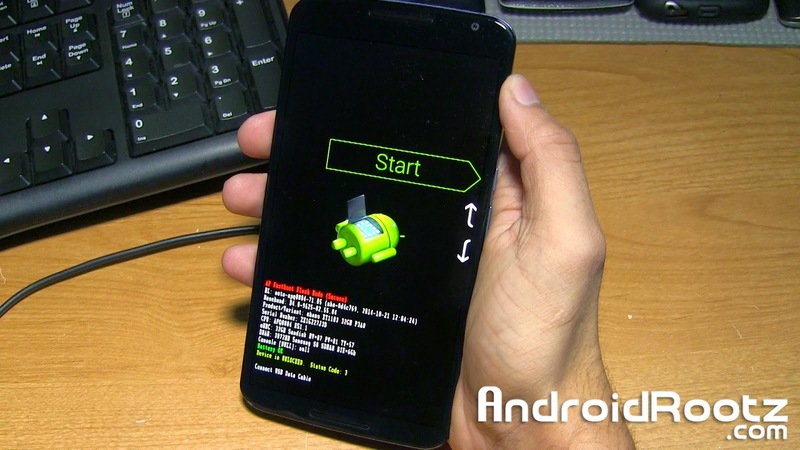 Follow the guide below to learn how to enter into Recovery Mode on the Nexus 6! 1. Power off the Nexus 6 and make sure your phone is unplugged. 2. Press and hold the power button and volume down button at the same time until you see a green "Start" on the screen. 3. Press the volume down until you see "Recovery mode". Now press the power button.